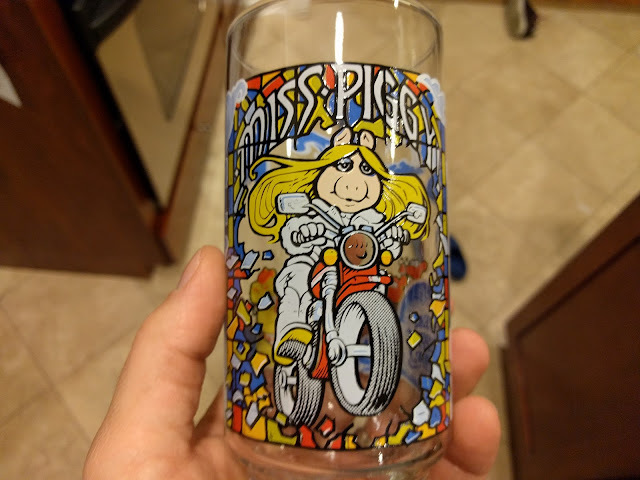 I grew up with a set of these McDonald's Muppets glasses in our kitchen cupboards in Frankfort and this one of Miss Piggy riding a motorcycle through what I think is a stained glass window was the one that I recall most vividly. 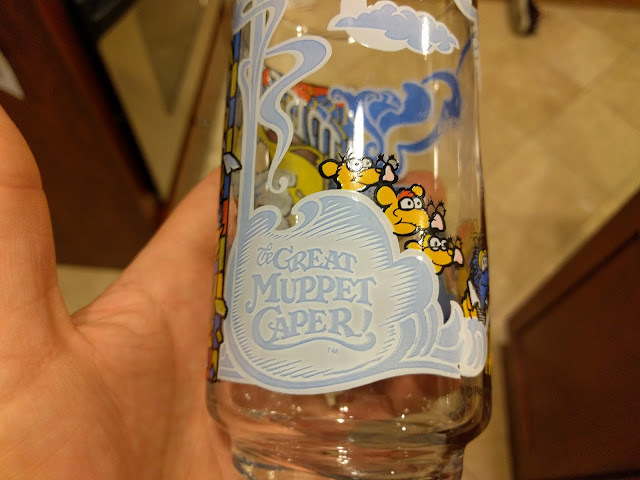 I spotted these glasses at the Kane County Flea market, but they wanted like $8 a piece for each of the four glasses. I passed. But the idea didn't leave my mind. So, I came across them recently online and had to pull the trigger. I've been using this one in particular - but all of them, frankly - since they arrived. 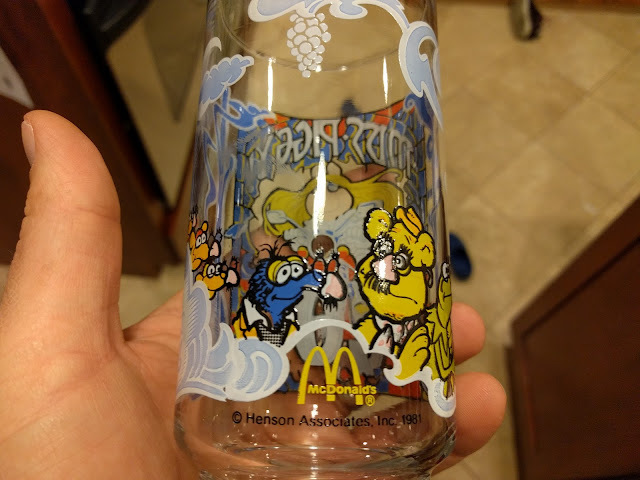 The back of the glass is marked with a 'Henson Associates, Inc 1981' along with the golden arches from McDonalds. Or...Mac-and-Donalds as my oldest sister (apparently) says. These were released alongside the film The Great Muppet Caper. Now, they're living their second life in our (temporary) home where my kids get to enjoy them. #vintageglasses tag page can be found here where this one becomes the fourth in the collection.